Dr. Pfleger and her team of marine biologists have discovered through innovative methods of genetic testing and morphology a new species of dogfish shark: the Genie’s Dogfish. Since many deep-sea sharks share similar physical characteristics from the environment’s evolutionary pressures, this team uses DNA evidence to prove the need for a new distinction of species. DNA is used to determine the length of time a species has existed as well as any stark differences distinguishing various species. Overfishing, bycatch, and shark fin trading are a few of the threats endangering sharks. As fisheries continue to fish in deeper waters, scientists must first discover the unknown species lurking in these waters to help preserve the biodiversity. Founder of Mote Marine Laboratory, Eugenie Clark, is recognized through the title of the recently discovered dogfish shark species. “Genie established Mote and she lived on the Gulf of Mexico coast. She did a lot to advance our understanding of marine biodiversity there. 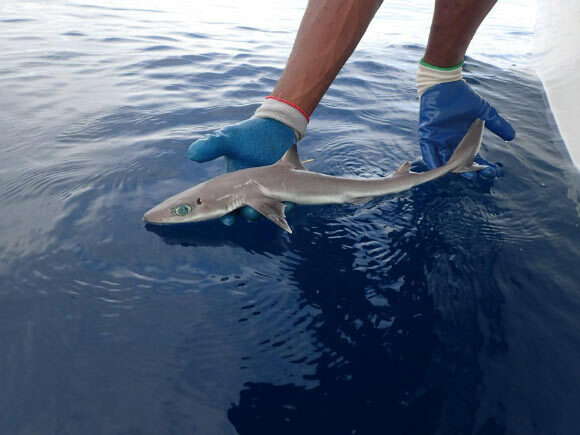 So naming the dogfish shark from the Gulf of Mexico after her is the most appropriate thing in the world,” explains shark biologist Dr. Toby Daly-Engel from the Florida Institute of Technology.